The Vans Syndicate x Jason Dill project launches worldwide on Saturday, February 7 exclusively at authorized Vans Syndicate dealers. 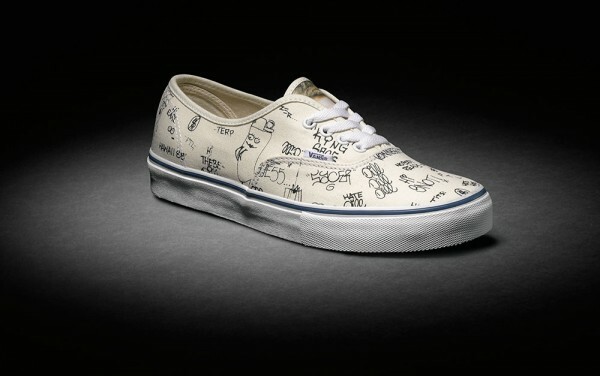 Visit Vans.com for the complete list of dealers. Vans Pro Jason Dill returns to Syndicate this season with an OG Authentic "S" emblazoned with original Jason Dill artworks and pen drawings on natural white canvas uppers. The iconic Vans style as reinterpreted by Jason Dill for Syndicate incorporates full color photo prints on the tongue and custom art on the footbed.